Fed chairman Ben Bernanke’s second four-year term expires on 31 January 2014 and his successor needs to be vetted by Congress before then. Although a dark horse cannot be ruled out, there are two clear candidates: Lawrence Summers and Janet Yellen. The debate of who is the most suited successor to Big Ben has been surprisingly little about the candidate’s economic views and the level of innuendo has been a US presidential campaign worthy. The US economy is on the path to recovery and it is now as important as ever how the new chairman plans to run future US monetary policy. This paper discusses the differences in economic policy of Yellen and Summers and in particular if it is fair to call Yellen the most dovish of the two. Our conclusions are as follows. We believe that the characterisation by the media of Lawrence Summers as being more hawkish than Janet Yellen is too simplistic. In fact we argue that Summers and Yellen are equally dovish when economic conditions improve, since they both have a very strong aversion to unemployment relative to inflation. It is first when the US is hit by a negative demand shock while interest rates are at the zero lower bound that Summers is likely to be more hawkish than Yellen. This is due to Summers’s open scepticism towards alternative monetary stimulus instruments such as QE – a scepticism not shared by Yellen. We point out the importance of a transparent Fed and we believe that Yellen would support this transparency. On the other hand, Summers’s flamboyant personality together with his comments that he will be a fire-fighting Fed chairman indicate that the Fed would become less transparent if he was to be chosen by Obama. I am writing this while I am sitting in London’s Heathrow Airport (Terminal 5) after having spent a couple of days in London. To be quite frank I think I have been suffering from a bit of writer’s block in the past couple of weeks – maybe because I have been too busy with other things, but also because I have been a bit uncertain what stories I really wanted to tell. I could of course blame Paul Krugman – after all his writings on Milton Friedman greatly upset me and I wanted to respond to Krugman’s posts on Friedman, but on the other hand I didn’t really want Krugman to dictate what I was going to blog about. So enough said about Krugman. So now I am trying to get over the writer’s block with another round of musings. Since May the Indian rupee has more or less been in a free fall to the great concern of Indian policy makers who are trying hard to curb the sell-off. Anybody who has read and understood Milton Friedman’s classic article “The Case for Flexible Exchange Rates” will be able to realize that the Reserve Bank of India (RBI) is making a serious policy mistake when it is trying to curb the weakening of the rupee. The sell-off in the rupee has likely been triggered by market fears of Fed tapering, general Emerging Markets gloom and spill-over from the Chinese growth slowdown. However, it is also clear that India is suffering from serious structural problems which have resulted in a double deficit – sizable current account and public finance deficits. All this easily explains and justifies the weakening of the rupee. Hence, the sell-off is a natural reaction to external shocks and imbalances in the Indian economy. The Indian authorities should therefore fundamentally welcome the drop in the rupee as a natural adjustment. An adjustment that will be a lot smoother than if India had had a fixed exchange rate regime. However, the RBI’s insistence on trying to curb the sell-off in the rupee is fundamentally an abrupt monetary policy tightening and the likely result is that Indian growth is going to take a beating. One can of course argue that the RBI long ago should have moved to tighten monetary policy – NGDP growth clearly was excessive in 2008-10. However, the fundamental problem is the RBI’s lack of commitment to a clear and transparent monetary policy rule. The RBI’s continued extremely discretionary stop-go policies are a serious problem in terms of both macroeconomic and financial stability. In my view the RBI should implement an NGDP targeting regime targeting 7 or 8% NGDP growth going forward (see more on that suggestion here). That would be a “tighter” monetary policy than what we have seen in recent years, but it would likely be “expansionary” in the sense that it would provide a lot more stability for the Indian economy, which likely would help boost long-term real GDP growth. Furthermore, a clear and transparent monetary policy would provide the necessary nominal stability for the Indian government to start serious structural reforms to reduce India’s large public budget deficit and to boost long-term trend growth. Ashok Rao has a couple of very good posts on India. Ashok provides some justification for the RBI’s attempts to curb the sell-off in the rupee and he also provides some arguments why we should not become too negative on the Indian economy. I disagree with some of what Ashok is saying, but he has good arguments. Take a look for yourself (here and here). Thursday morning when I was flying to London from Copenhagen I noticed a billboard saying that Copenhagen Airport has been voted the most efficient airport in the world when it comes to airport security by something called Skytrax. I have earlier argued that efficiency in airport security is a good indicator of the overall level of regulation/efficiency in an economy. So I guess if Skytrax is right then there might be some reason to argue that Denmark indeed is the most efficient/competitive economy in the world or at least the least regulated economy in the world. If we look at different competitive and regulation indicators Denmark actually is on the very top in the world – whether you look at the Heritage Foundation’s Economic Freedom Index, the World’s Ease of Doing Business index or the World Economic Forum’s Global Competitiveness Report. I have been trying to write a blog post on Summers vs Yellen, but now I will instead just state some of the conclusions here. It is normally assumed that Larry Summers will be a more hawkish Fed chairman than Janet Yellen because he dislikes quantitative easing (as many other paleo-Keynesians). However, I think it is important to note that Summers’ preferences in terms of unemployment versus inflation certainly are not hawkish. Rather the opposite. 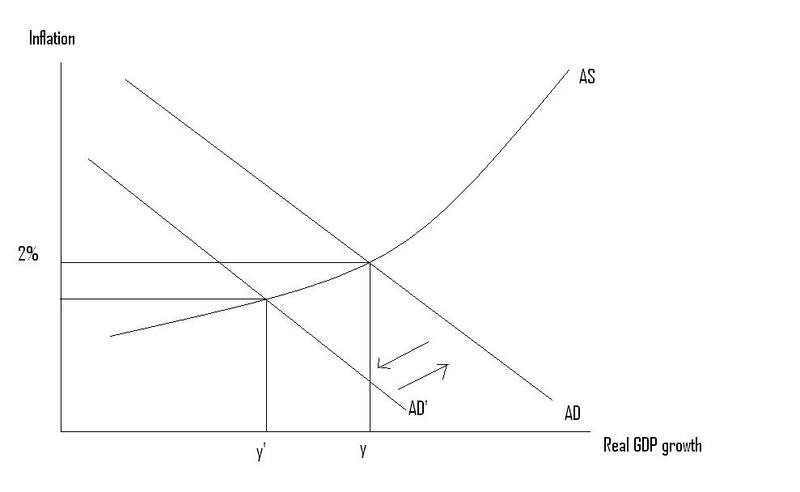 He just thinks that fiscal policy rather than monetary policy should be used to boost aggregate demand. Therefore, in a world where the Fed is moving toward “tapering” and in a couple of years rate hikes there is likely not a big difference between Yellen and Summers. It is only if additional “stimulus” is needed – due to for example a new negative shock – that Summers will be more hawkish than Yellen. Furthermore, Summers is a Democrat and part of the Clinton “family”. Therefore I am fairly convinced that he will do anything to help Hillary Clinton get elected US president in 2016. Yellen on the other hand is much less likely to act as a partisan Fed chairwoman. Now some might say that Market Monetarists have been screaming about the need for monetary easing for years so we should be happy if Summers becomes Fed chairman and actually steps up monetary easing toward the 2016 presidential elections. That, however, would completely miss the point Market Monetarists have been making. We want a clear monetary policy rule. We don’t care about discussing monetary policy in terms of hawks and doves. We need the Fed to follow a monetary policy rule. Both Yellen and Summers are likely to be tempted to continue the Fed’s unfortunate discretionary policies. 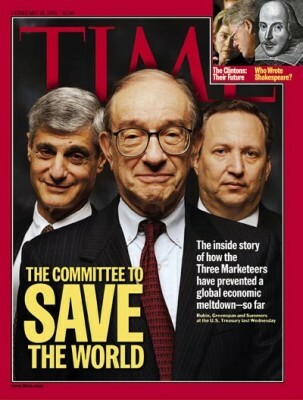 Summers famously was on the “committee to save the world” when he with Rubin and Greenspan “saved” the world from disaster during the Asian crisis in 1997. I am extremely critical about about Summers’ abilities as a firefighter. In fact I am extremely critical about the very concept that central bankers should act as firefighters. Central bankers should instead stop starting fires. However, I am afraid that 2014 might very well be the year where Chairman Summers will be trying to save the world from the Second Asian Crisis. Yes, I have some very deep concerns about how things will play out in Asia – with both China and India likely to make new serious policy mistakes. PS I most of this article was written in Heathrow airport on Friday. I am now happily back home in Denmark.